Most pet owners would relish the opportunity to spend all day with their four-legged companion. But since many workplaces, restaurants, and retailers aren’t exactly pet friendly, it’s often necessary to leave pets at home. While many cats are perfectly content to be on their own for a relatively lengthy stretch of time, most dogs prefer human company (hence the name “man’s best friend”). For some pups, being home alone can culminate in something other than a gleeful greeting when you finally walk through the door. In the absence of an owner, anxious pets may begin exhibiting unwanted behaviors. That's why it's crucial to consider your dog's unique needs before leaving. But how long is actually safe to leave your dog alone? The short answer: it depends on the dog. All dogs are different and have varying levels of independence, explained Tamsin Durston, head coach at Dogs Trust Dog School. But as a general rule, dogs shouldn’t be left alone for more than three or four hours, she told Metro. However, the timing depends on the dog and its breed. Dogs that have been trained to be independent from an early age may be able to handle being alone much better than a dog whose puppyhood was spent in constant human company. But fostering canine independence is a gradual process that needs to be done in stages. 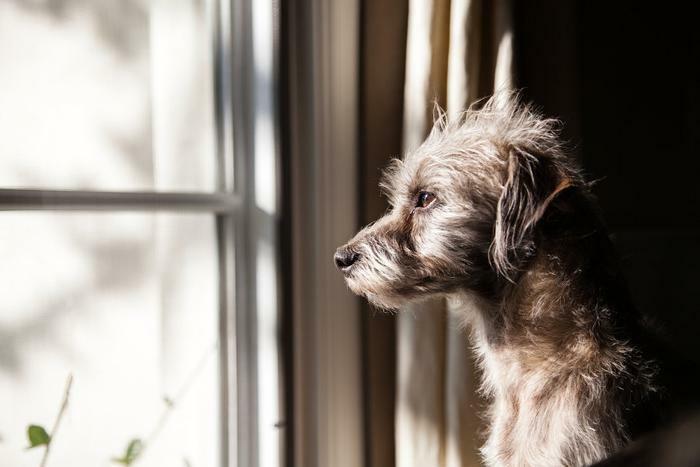 To a less independent pooch, suddenly being left alone for hours can feel jarring. To help train a dog to be by itself, Tamsin suggests using large dog crates. Tamsin also recommends making sure the dog has toys and chews to keep it occupied. Walk them. Before leaving, go for a stroll or run with your dog to help tire them out and make them more likely to rest while you’re gone. Gradually build up the time apart. Start with just a small period of separation and gradually work up to being separated for several hours. Hire a dog walker. If you need to leave your dog for more than four hours, have a friend or dog walker come by in the middle of the day to give them a walk and some affection. Leave the TV or radio on. To give your pet a feeling of company, tune your TV to a cooking channel or another network that likely won't have sudden loud sounds. A radio tuned to a station with calm, quiet music can also help an anxious pet. Additionally, keep in mind that leaving two dogs alone isn’t necessarily better than one. "They might not help each other and you could just end up with two anxious dogs, instead of one," warns Tamsin.